Send an e-invitation using yoovite for your next Event or Party and save your time on managing guests and RSVPs. The Bikaner Festival in Rajasthan is dedicated to the camel, which is the indispensible vehicle in the desert and part of Rajasthan’s rich cultural heritage. The festival contains spectacular processions of beautifully decorated camels that take the onlookers by charm and grace. 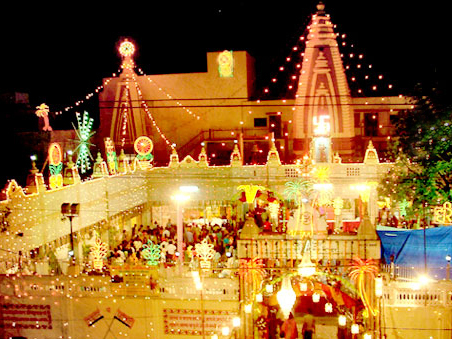 Yoovite.com offers an exceptionally good online invitation tool for natives of Bikaner to invite their friends and relatives to the magnificent festival of their state. 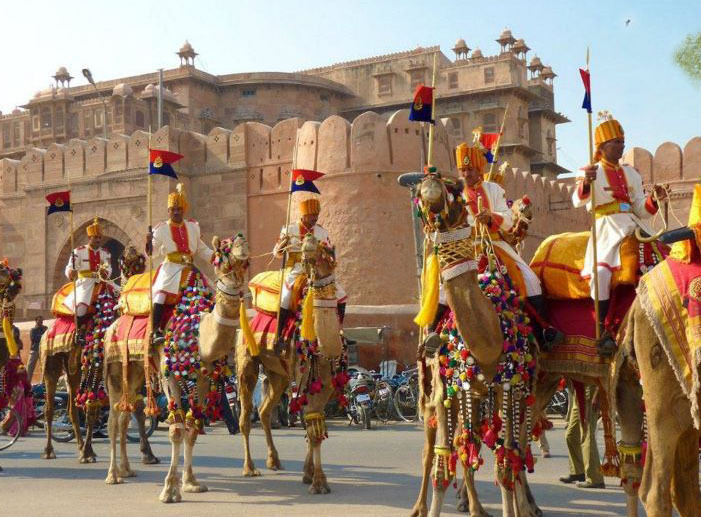 The festival begins with the procession of bedecked camels with the red sandstone of Junagarh Fort in the background. The camel country festivities then take to the sands where events such as Polo, Camel Race, Camel Milking, Fur Cutting, Camel Acrobatics, Camel Fair, Camel Bands and “Camel Beauty Pageants” takes place. If you and your friends are sports fans, you can take part in polo. There are wrestling competitions called Kushti conducted here as well. The fighters can indulge in this competition and enjoy combat. The camels exhibit fantastic footwork in their graceful dances to the traditional Rajasthani rhythms. The traditional dancers do the awesome swirl of skirts and fire dancing. Renowned folk artists play medley of folk dances and songs. These activities define Rajasthan’s culture and these artists will cast their spell on you. There are brilliantly lit campfires in the evenings where these folk dancers and musicians lure their spectators. And no matter where you and your friends come from, this is something you should not miss. Apart from camel festival and other activities, there are spectacular fireworks arranged in the desert, which will give you a different Diwali-like effect. The dates of this festival vary every year. So when you invite your friends to come over, do check your calendar. You can take your friends to the areas where the above activities take place so that they can be part of the festivities. You can also take them on a visit to the Junagarh Fort and the Karni Matha Temple where the natives worship thousands of holy rats. During this time, traders and craftsmen from all around Rajasthan pour into Bikaner. So, there will be a lot of indigenous handicraft work that you can buy your friends as a souvenir. Bikaner in Rajasthan is famous for its Bhujiya and Namkeen. You should not miss having both these delicacies in your travel plan for Bikaner Festival. You can relish yourself with amazing dishes once you are done with fun in the festival. Lip smacking recipes such as Daal-Baati, Choorma and other delicious vegetarian foods will leave you fully satisfied. You can also let your friends taste the tea and special sweets prepared from camel milk. Tell your friends to pack woolens since it is very cold in the mornings and nights in Bikaner. The special thing about Bikaner is its well connectivity. You can stay in palace hotels and other locations worth your budget. You can have your breakfast at the hotel. After that you can spend your entire day at the festival visiting various festivities and celebrations. Then you can have your overnight stay at the hotel.